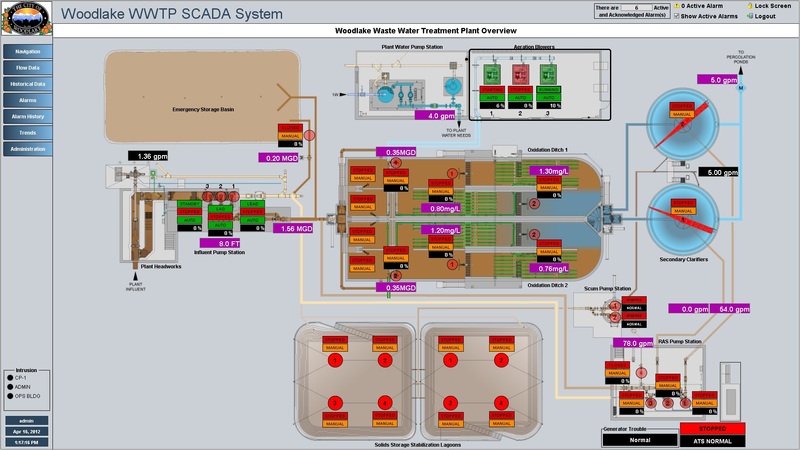 Plant overview diagram displays pertinent process flow information and device status. No control available at the highest level graphic. Influent Pump Station overview displays prominent information directly on the screen, individual device controls can be accessed by clicking the required device. 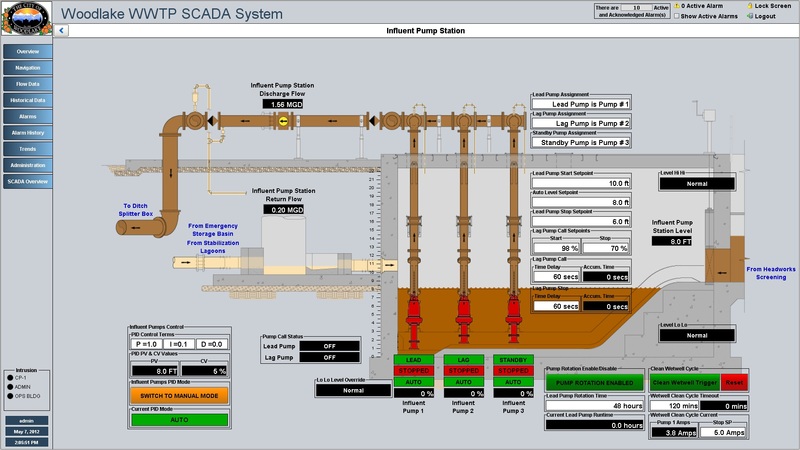 Influent Pump Station overview with influent pump pop-up. Pop-up provides additional pump status details and full device control. Influent Pump Station overview with influent pump interlock pop-up. 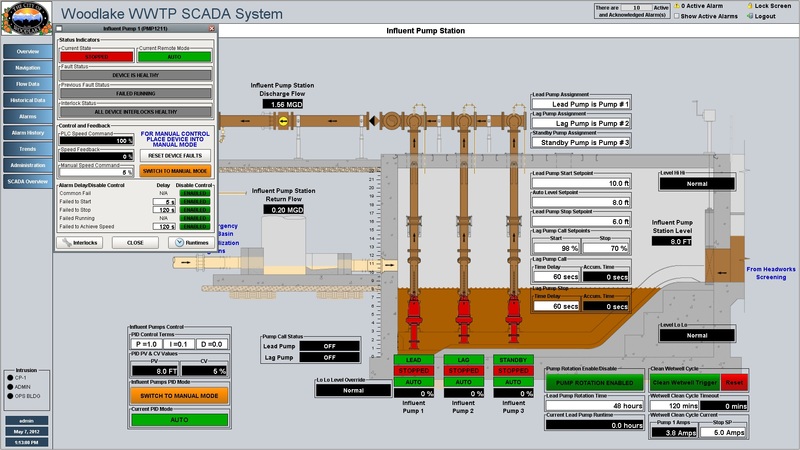 Pop-up provides additional information related to any device interlocks preventing the pump from operating. 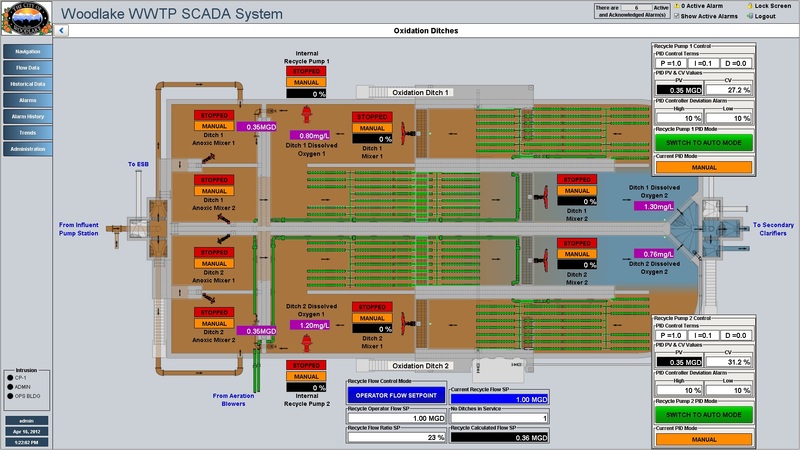 Oxidation ditch overview displays device status and process instrument values. High level controls displayed directly on overview graphic. 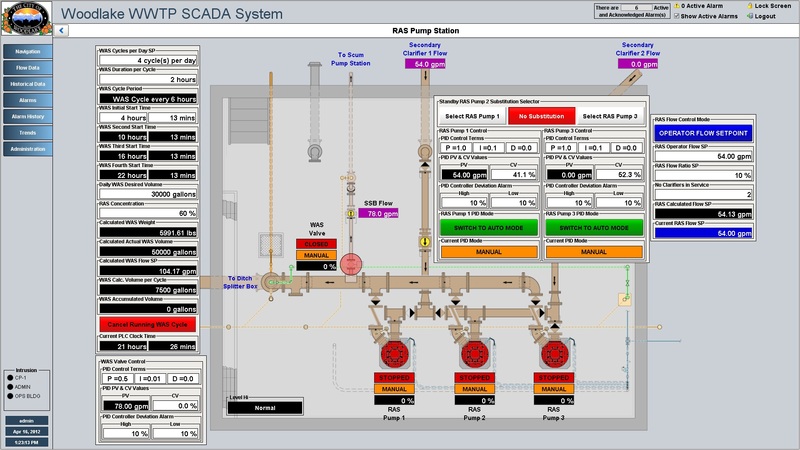 Aeration Blowers overview displays device status and process instrument values. 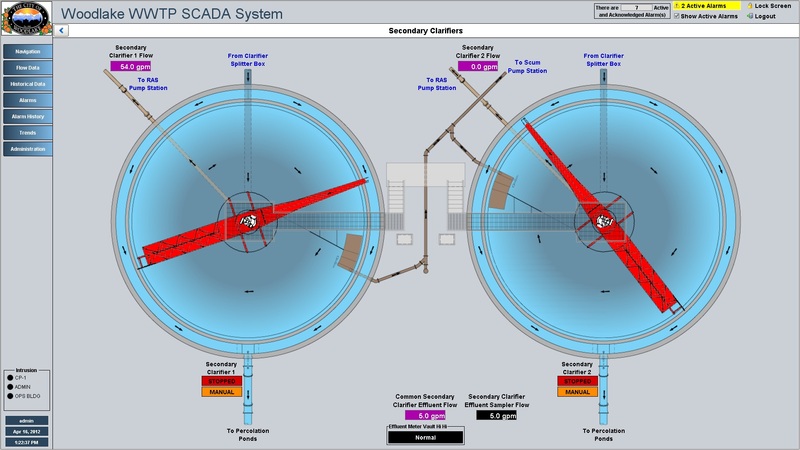 Blower arrangement and high level controls displayed directly on overview graphic. Secondary Clarifiers overview displays device status and allows control pop-ups to be opened. 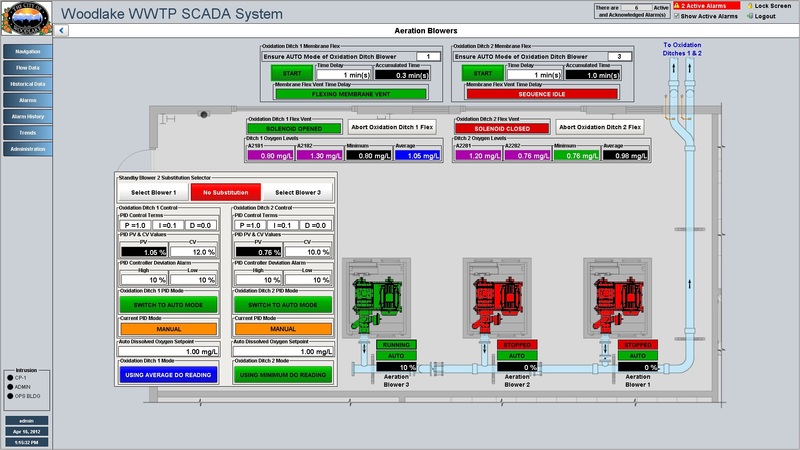 RAS Pump Station overview displays device status and process instrument values. 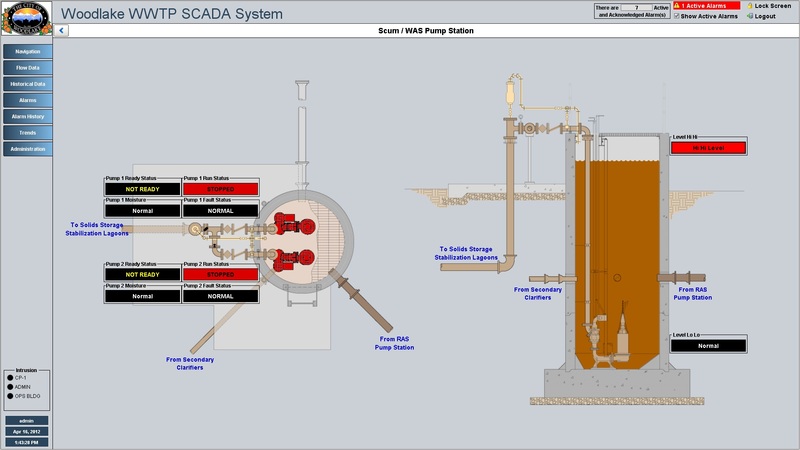 RAS Pump arrangement and high level controls displayed directly on overview graphic. Scum / WAS Pump Station Overview. Device status monitoring only, no controls available. Alarm configuration displays device and process alarm limits, delays, alarm status and enable/disable controls by process area. 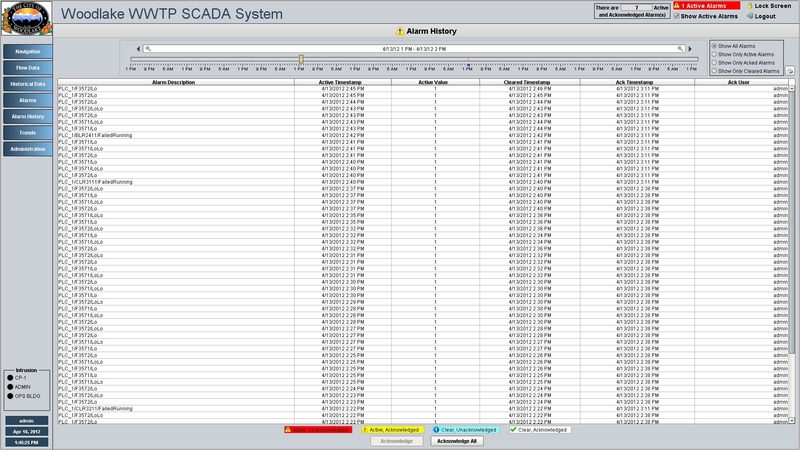 Built in Alarm and Audit History can be accessed and filtered directly from the SCADA software. History can be exported for further external processing. 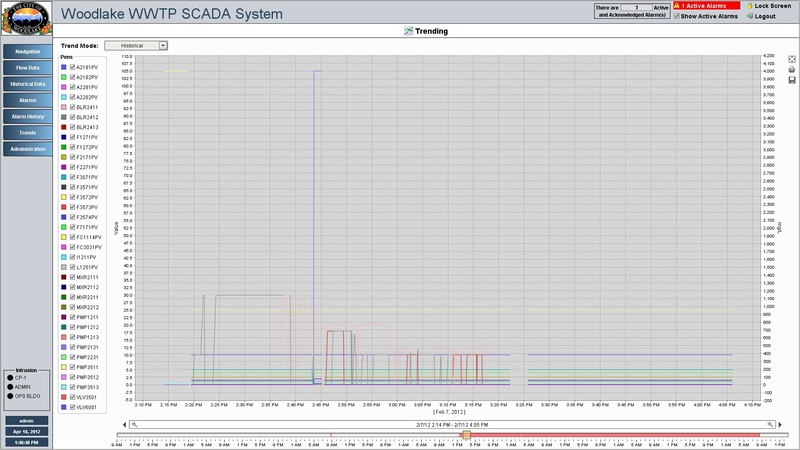 The trending package can be modified to place pens in process groups and to select certain pens based on pre-determined processes.